Much effort goes into creating squads where no camper will dominate - or slow down - the group. Squad rosters are initially sorted by previous Coerver experience and age. The curriculum and testing Monday morning is designated to assure the competitive compatibility of the squads and allows for Camp Directors and Staff to make any changes that are needed. 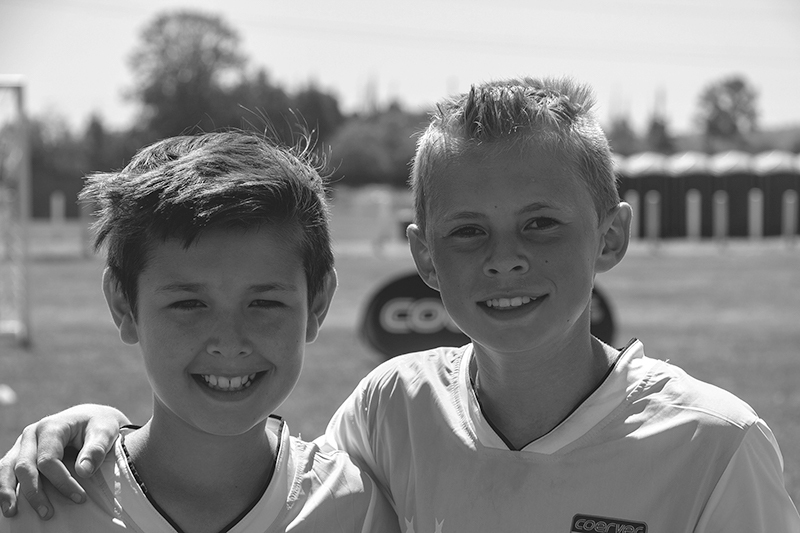 Level 1 First Skills camps are conducted by trained Coerver Coaches with a player to coach ratio of approximately 8-1. 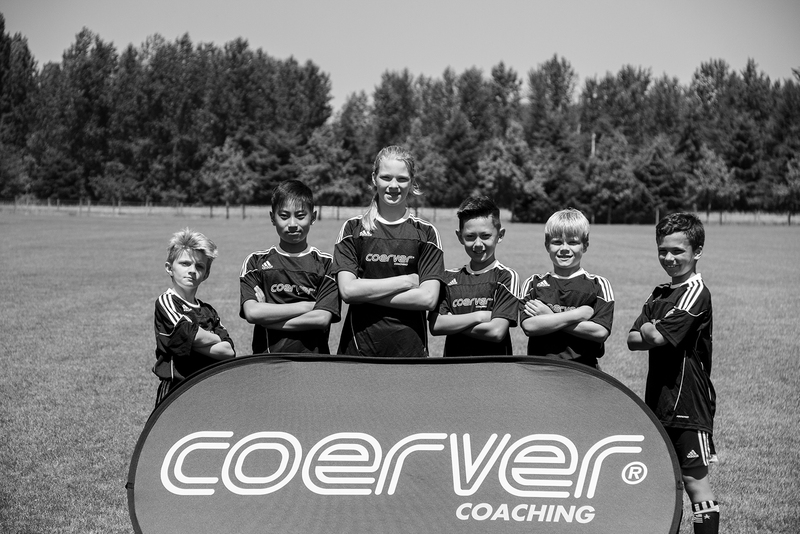 Our coaches are constantly being trained as our curriculum continues to develop and new games and exercises are introduced by Coerver Coaches from all over the world. 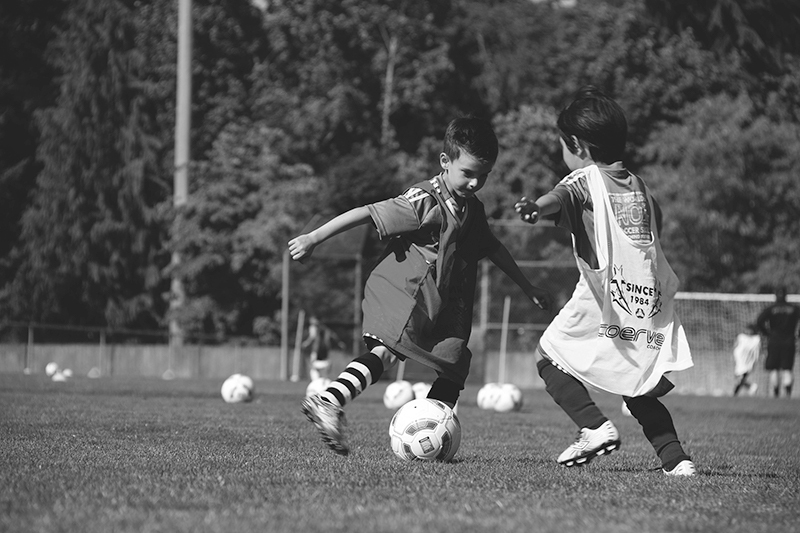 First Skills camps focus on teaching the individual skills indispensable for success in soccer. Proper fundamental skills are taught as well as advanced skills that make playing fun and encourages players to practice on their own. Sportsmanship and character are central to our core values and are stressed at every turn. Effort and fair play are as important as talent and achievement. First Skills camps are offered half-day (9am-noon) for player 4-7 years old. Fun is the central theme to all sessions as skills are introduced and practiced in a joyful environment. Players get to experience the game in a way that fosters physical and social development and improves coordination, confidence and skill. In Level 2 camps the emphasis is placed on individual skill development and basic moves with the goal of developing confidence on the ball. Beginning “move sets” are taught and games are played to practice the moves in a method that starts with no pressure and slowly adds the pressure of time and/or space restrictions. Then passive defensive pressure is added and by the end of the first morning, players are performing moves under full defensive pressure to goal. First touch is a major theme in Level 2 sessions. After lunch all Ball Mastery groups receive training in a topic of the day that is geared toward their group’s specific level of play. 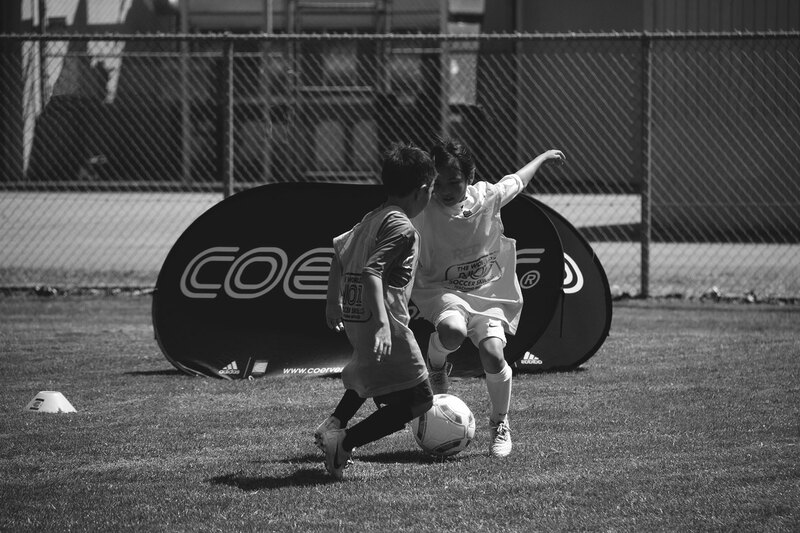 Topics range from skills such as finishing, volleying and individual defending to more advanced topics such as small group defending and combination play. After the topic of the day all groups play in our “World Cup” competition with teams they stay with throughout the week. This is a round robin competition of small-sided games. The rules and restrictions of the games change depending on the topics emphasized that day. Results are recorded each day and a finals competition is held on Friday. Group champions are recognized at our award ceremony on Friday afternoon. At all levels, games are played to encourage the use of the specific skills being taught that day. Nearly three decades of cooperative curriculum development affords us a finely tuned method for getting the skills incorporated into the competitive environment as quickly as possible while building confidence along the way. The difficulty of the moves we teach and the intensity of the competition increases at each level. Level 3 teaches more complicated moves and swiftly puts players into competitive environments with an emphasis on 1v1 and 2v2 play in the morning. Small group tactics are also taught and small-sided games are played featuring fast break attack and counter attack. The importance of fast transition play is stressed and players are encouraged to play creatively and freely and to use their new skills in games. Players are also put in many situations requiring decision-making as that is a key ingredient to advanced play. 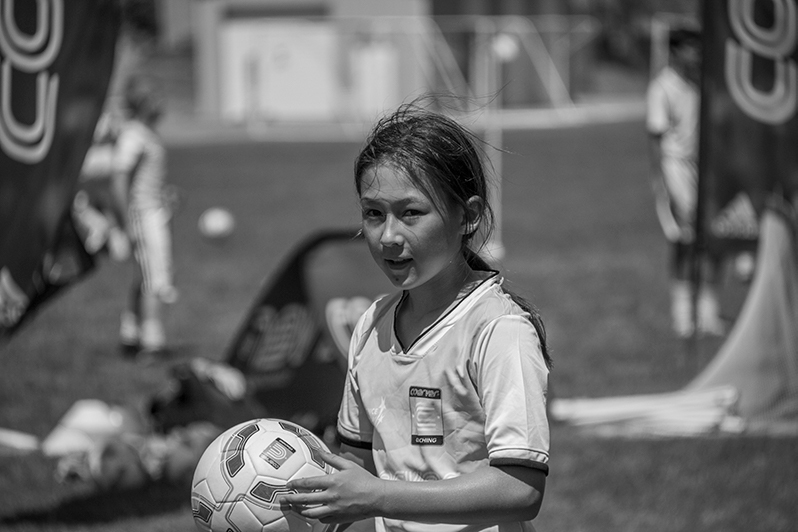 Advanced campers compete in the adidas 5-3-1 competition, each day where they are put in a series of competitive team environments and their scores are calculated each day. The teams and challenges change every day and each player’s scores are compiled throughout the week. The winner of the week long competition is recognized at our awards ceremony on Friday. At all levels, games are played to encourage the use of the specific skills being taught that day. Nearly three decades of cooperative curriculum development affords us a finely tuned method for getting the skills incorporated into the competitive environment as quickly as possible while building confidence along the way. The difficulty of the moves we teach and the intensity of the competition increases at each level. Level 4 camps are offered in limited locations and are intended for the serious player with an eye toward college soccer. The Level 4 groups are exposed to high-level skill sets and are challenged to apply these skills to tactically appropriate situations. Games and exercises stress tactical awareness, problem solving, principles of possession, advanced finishing skills, group defending, playing to targets, effective flank play and multiple player attacking combinations. Spirited competition is encouraged and fitness and speed training are emphasized.